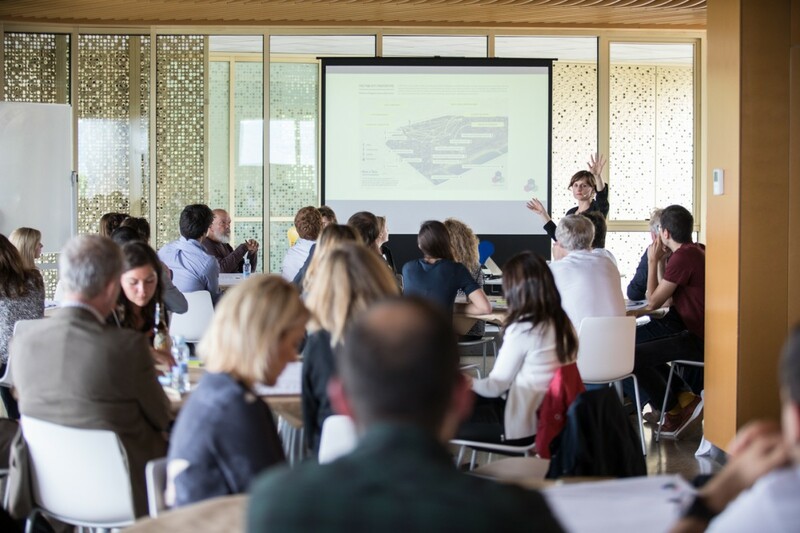 In June 2017, experts from the academia, business representatives and ‘gastronomers’ from different backgrounds will gather around the table in San Sebastian, Basque Country aiming to address a question: How can we create the gastronomy & food system of 2050? 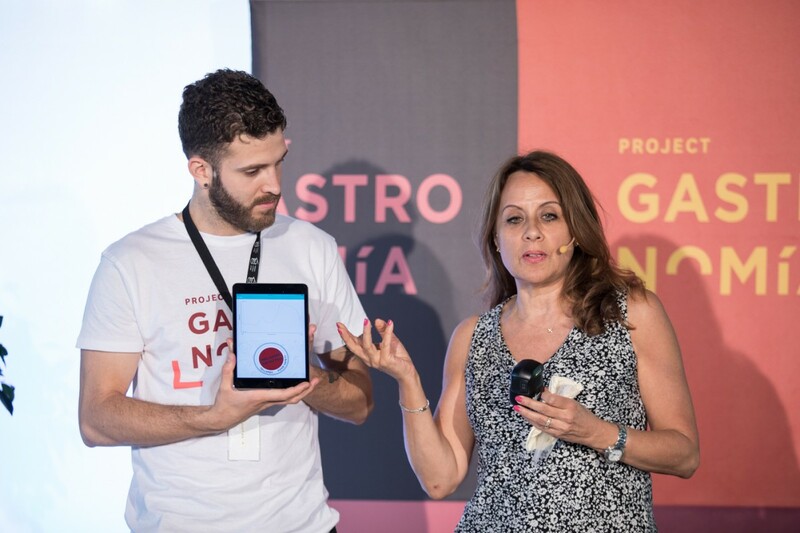 The goal will be to share knowledge and discuss about the challenges and issues of our food system, address the meaning of the term ‘Gastronomy’, as well as envision the 2050 scenario ; this time highlighting the role of technology and its interactions with food and gastronomy through specific examples. We will address the conversation going from farm to table, and will count with the participation of representative actors from different sectors. Arielle is responsible for the flavor and biochemical side of Open Ag’s phenome research, as well as experimental collaborations on environmental control of a variety of edible biological systems with chefs and restaurants. Her work emphasizes dismantling the disciplinary boundaries between the kitchen and the laboratory, drawing on her experience doing research and development in the sciences, fine dining, and food nonprofits; and using tools from chemistry, plant science, microbiology, ethnobotany, history, psychology, engineering, design, and experimental cuisine. Arielle completed a BSc in Chemistry at New York University and a PhD in Agricultural and Environmental Chemistry from UC Davis with a focus in flavor chemistry. Prior to joining the Media Lab she was the resident scientist at Restaurant Noma in Copenhagen, and the head of research at MAD, chef Rene Redzepi’s food symposium and think tank. Her work has been featured in Wired, Nature Microbiology, Lucky Peach, The Harvard Science and Cooking lectures, the World Bank, Tales of the Cocktail, Popular Science, and SXSW. Eneko Atxa is a world reputed chef that is a part of the second era of the New Basque Cuisine. Eneko is the founder, the general manager and the head-chef of the 3 Michelin starred restaurant, Azurmendi, which acts as an integrated ecosystem in which cultural heritage, gastronomic innovation and sustainable development coexist harmonically. Azurmendi is a reference among ‘haute cuisine’ restaurants due to its commitment to unlocking solutions to social and environmental challenges, using gastronomy as a vehicle. Eneko wants to promote a holistic and interdisciplinary vision of gastronomy as a phenomenon that articulates different actors ‘from farm to table’. His career began at the hotel and restaurant school of Leioa where he received culinary arts education. He rapidly started an itinerary through some of the most emblematic and innovative restaurants of the Basque Country. His talent and vision has procured achieving many diverse culinary awards throughout his career. After completing his PhD in physics in Eindhoven, the Netherlands Frans Kampers in 1989 joined the Dutch agricultural research organization (DLO), which is now part of Wageningen University and Research Centre. He headed a department on instrumentation and measurement technology for several years. This department was involved in research on sensors, microelectronics and microtechnology. Among other things he was chairman of an ISO working group that defined the international standard on RFID for animals, chaired a working group on Microsystems and Agriculture and was responsible for a project on sensors for sustainable food production within the DTO programme. After a brief period in which he was involved in information strategy Frans Kampers in 2003 was asked to coordinate the Wageningen UR bionanotechnology research which predominantly is directed towards applications in food and nutrition. He is actively involved in the organization of funding programs in the Netherlands, is a member of the Executive Board of NanoNextNL, is the initiator of CAT-AgroFood, the Wageningen Centre for Advanced Technology in AgroFood, and was president of the International Society of Food Applications of Nanoscale Sciences (ISFANS). Currently he is also active in a consortium aiming to set up a Knowledge and Innovation Community on Food in Europe and he coaches young entrepreneurs who want to establish new businesses in the framework of StartLife. Hildreth is a designer + dietitian with a decade of experience managing innovation and communications projects in health, technology and behavior change. She marries food systems and clinical nutrition expertise with a passion and talent for creating moving experiences, and has led projects funded by Target, IDEO, Barilla, Alce Nero, USDA, the Centers for Disease Control, and the City of Austin. At the MIT Media Lab, she works with engineers, flavor chemists, roboticists, educators and data scientists to develop "Food Computers" - open-source technologies that enable a more agile, transparent and engaging food system. her research focuses on the human-machine interaction and user experience design of Food Computers, particularly for social impact applications. With HESTIA design lab, she uses persuasive technology & emotive design languages to create things & spaces that foster healthy, joyful food experiences. Hoffmann is an entrepreneur who has successfully founded eight companies over the last 26 years in the fields of preventative medicine, software, education, and more recently in digital health and food tech. Her natural ability to lead and inspire has resulted in numerous awards and honors throughout her career. As CEO and Founder of Tellspec, the company behind the world’s first food sensor, she leads a team of computational biologists, food scientists, mathematicians, software developers, and data analysts towards their mission to build a healthier world by empowering people to make informed choices about what they eat. Hoffmann has embodied the entrepreneurial spirit from the age of 19 when she started her first company. She has founded eight successful companies, taking companies from $0 to $75 million, and has negotiated strategic investments with groups such as CBS Corporation and Mitsubishi International. Hoffmann has raised equity investment and convertible debenture notes in Wall Street, New York City, and Bay Street, Toronto. She was also the main strategic negotiator on several business acquisitions, including a US$28M acquisition of Corel Multimedia business division. More recently, she has shared her experiences as an entrepreneur and as knowledge on commercializing technologies by teaching MBA-level entrepreneurism courses at the University of Porto in partnership with the London Business School and the University of North Carolina. 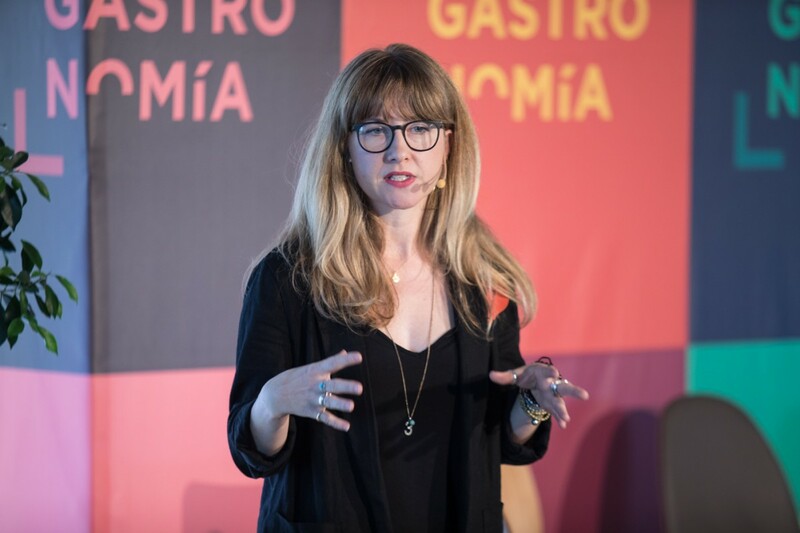 General Manager and co-founder of Basque Culinary Center, a pioneer academic institution that focuses on Gastronomic sciences and innovation of its R&D Center as well as offering the first Degree in Gastronomy and Culinary Arts in Spain. Basque Culinary Center is an ambitious project with international relevance. It converges efforts from diverse institutions, renowned chefs and private companies in order to create innovative new products, services and initiatives that will shape the future panorama of gastronomy and the food sector. Joxe Mari graduated with a law degree and continued with his PhD in managerial and entrepreneurial skills at the Universidad del País Vasco. After working for four years as a tax advisor, started his career as a teacher at Mondragon Unibersitatea. He became the legal adviser, responsible for the largest cooperative business group of Basque Country (Mondragon corporation). In 2004, he returned to Mondragon Unibersitatea to become the vice chancellor for a period of seven years. Original from Barcelona, Manuel has a degree in Business Administration & MSc Finance from ESADE Business School, and a Masters degree in Management from Sydney University. He began his professional careen in the investment banking sector, working in mergers and aquisitions in London, UK. In April 2014 he joined Uber Spain as Operations Manager, being the first employee of the company in Spain. In February 2017 he is named Managing director of UberEATS for Spain, aiming to manage the delivery system that the company presented the same year in Madrid. An accomplished Ph.D. mathematician, computer scientist and proven trailblazer. Results focused, his career to date is characterized by delivering demanding major projects to time and to budget. Prior to founding Moley Robotics, Mark was a co-founder and a major shareholder of a number of companies working in a healthcare sector in Russia and internationally. Well versed in food, biological, and health sciences as well as cutting edge food, beverage, information and education technologies. Dr. Lange guides teams toward design, build, and implementation of knowledge environs enabling end-users to make new and insightful discoveries, create new products, and improve human living conditions. In addition to teaching Food Product Innovation and Development, a capstone class for Food Science seniors at UC Davis, Dr. Lange publishes, teaches, and consults internationally on strategies and conceptual models for enterprise and industrial-scale ag⇔food⇔diet⇔health knowledge infrastructures. The Semantic Web and Internet of Food hold promise to fundamentally alter the way we produce, process, deliver and consume food: giving rise to ecosystems of next-generation knowledge tools that lower technical innovation barriers for creation of novel, traceable, ecologically-friendly foods, products, medicines, and lifestyle regimens: precisely personalized for health and delight yet aggregatable for population and market analyses. As Associate Director of the UC Davis Initiative for Wireless Health and Wellness at UC Davis, and the Principle Investigator for International Center for Food Ontology Operability Data and Semantics (IC-FOODS) at UC Davis, Dr. Lange is leading efforts to build the semantic and ontological underpinnings for the emerging Semantic Web and Internet of Food. New technologies are merging the physical, digital and biological world and driving the future of many disciplines, economies and industries, including food and gastronomy. Robotics, task automation, artificial intelligence, nanobiotechnology, simulated climates in indoor urban farming systems, food sensors, precision agriculture and big-data are just some of the leading-edge developments we want to explore. 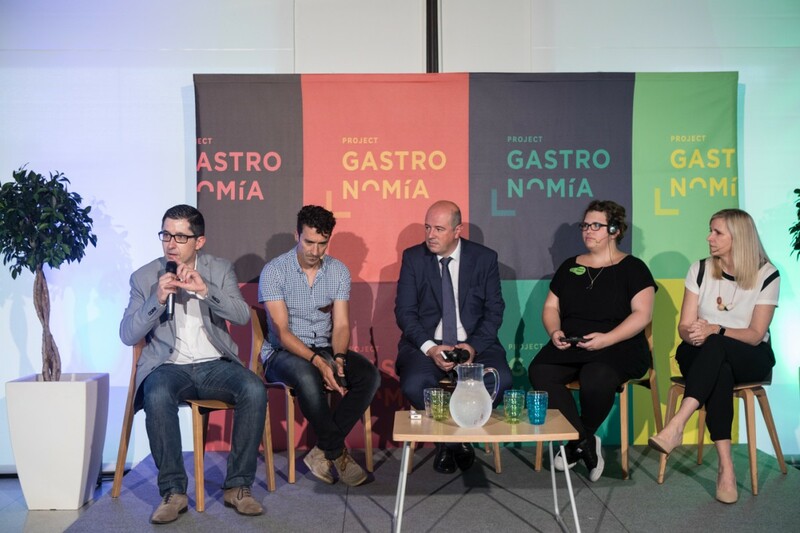 Project Gastronomia: Gastronomy&Tech 2050 Symposium was a two-day event (June 26 and 27) held at the Basque Culinary Center in San Sebastián, and the Azurmendi Restaurant in Biscay in the Basque Country in Spain. International speakers and experts from the USA, the Netherlands, the UK, Spain, Moscow and Denmark from benchmark organizations in the technology and agri-food sectors met to challenge the standard view of gastronomy, explore its possible scenarios between now and 2050 and highlight the role new technologies will play ‘from farm to table’. 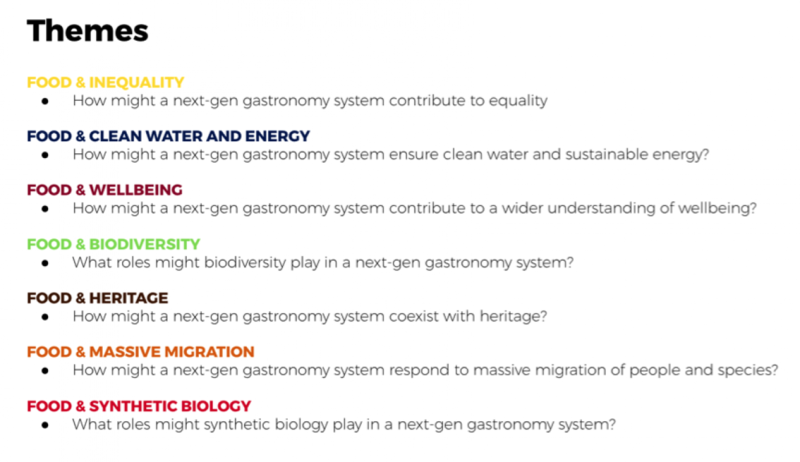 How can we create the gastronomy of 2050? That’s the driving question for an emerging project. When it comes to defining this word, people tend to imagine an exclusive dining room in a fancy setting, perfectly pressed white tablecloths, soft lighting; and perhaps a menu with a 2, 3 or 4-digit price tag. The Cambridge Dictionary describes it as “the art and knowledge involved in preparing and eating good food”, whereas the Oxford Dictionary defines the term as “the practice or art of choosing, cooking, and eating good food”. These definitions restrict ‘gastronomy’ and ‘good food’ to the purely hedonistic side of preparing and eating food. However, at a time of major paradigm shifts and a “fourth industrial revolution,” a group of professionals are hard at work expanding this concept to a discipline linking key actors in the food supply chain that goes far beyond haute cuisine and fancy restaurants. It must be approached through systems thinking, and at Project Gastronomía, we want to deconstruct and reconstruct the framework of the concept. This is what guided the introductory conversation and paved the way for the flow of great ideas we’ll describe below. Addressing the challenges of the global food system “is going to require cross collaboration across many different industries, from food, to healthcare, to science” said Lynda Deakin from IDEO. A designer, a chef & scientist (flavour chemist), a three-star Michelin chef and a local expert on food policies led the first discussion. This diversity was a key feature of the two-day forum, together with the idea of the multidisciplinary, circular nature of the future food system. Imagine a restaurant where everyone swapped roles. Imagine a restaurant that opened five days a month, where people performed a different function every day: one day farming, another day cooking or controlling climate variables from a food computer or a high-tech greenhouse, one day composting food waste to feed soil, and another teaching local children and senior citizens as part of the official school curriculum. Initiatives such as FAB City propose locally sustainable and globally connected urban models where information flows freely and one of the pillars of the supply of food and materials is the reinsertion of waste into production-distribution-consumption chains. 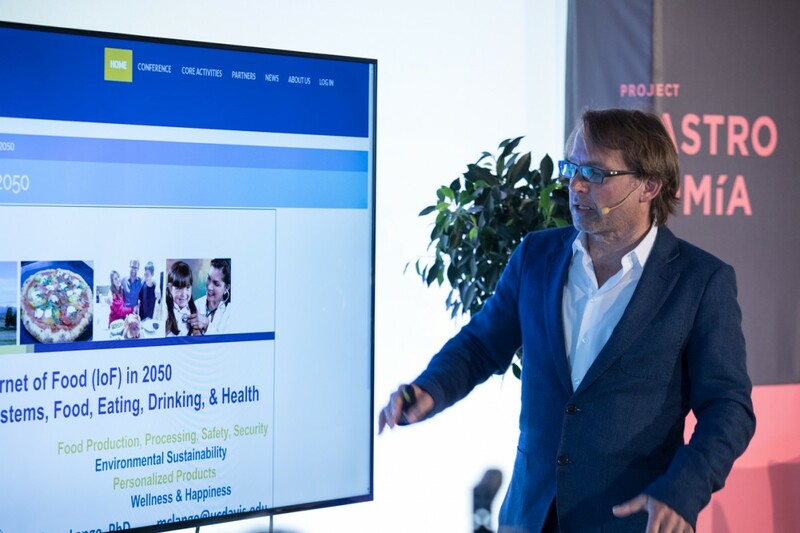 When it comes to global challenges, it is essential to adopt a systems-thinking approach based on circularity and to envision a scenario where Food Policies, Healthcare and “Foodcare” (a new department for the future) would work in sync. 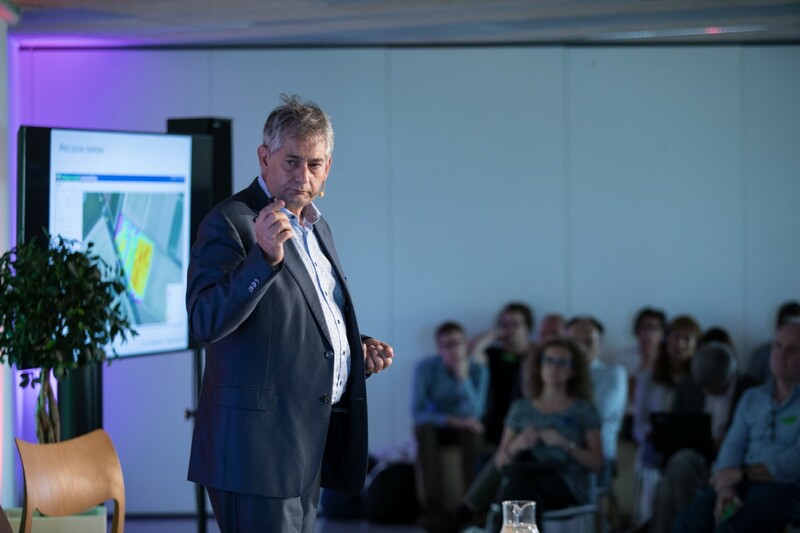 Frans Kampers, an expert in nanobiotechnology applied to food and nutrition, from Wageningen University and Research Center, explained the potential of building greenhouses in urban areas to meet rising food demand. These greenhouses take up less space than conventional fields and process sunlight through special panels and materials that emit part of the sunlight plants need for their functions and turn the rest into electricity, meaning that they produce rather than use energy. This concept and Food Computers, which can establish specific climate parameters such as light, humidity, nitrogen and pH for growing plants linked by an open source agriculture data system, show the potential of closed-loop circular models, in which whole stages of the food supply chain, “from farm to fork” (and waste) could take place within walking distance. Some people see farmers as the next rock stars. Arielle Johnson and Hildreth England of Open Agriculture - MIT Media Lab presented their ideas to make food and farming more attractive and appealing through activities that engage people emotionally, the first step to increasing awareness. For example, England suggested the possibility of replicating the climate parameters of the next 50 years to be able to prove the effects of global warming on crops in a specific region. At Open Agriculture, they imagine a future where only information and data travel, in the form of “climate recipes” and everyone can grow part of their food at home. In 2050, they will not be just farmers, but “Farmers of flavour”, as they call them, who will be able to stimulate plants and obtain the tastes, aromas and other organoleptic features of their choice by setting certain climate parameters, proving that there’s a certain correlation between intense flavour and eating the right way. From a more traditional perspective, but along similar lines, Eneko Atxa of Azurmendi highlighted the role of small producers as the next big stars, who will have more access to science and the academic world. They will be able to complementing their profession (which in many cases is purely empirical) through easy access to new knowledge through technology. In keeping with the increasing customization of products and services in various industries, the value chain of the food and gastronomic industry is aiming for a situation where individual needs will be met on demand in real time. A clear example of this nowadays is the business-to-consumer food delivery system, as Manel Pujol from UberEATS explained: in the future we will count on autonomous vehicles and devices, as well as instantaneous alerts and recommendation systems to inform us whether what we are about to eat could be replaced by other foods that are more suitable to our individual nutritional requirements. “Ground” (conventional) agriculture, which will concentrate staple foods (mainly cereals), will be optimized through the incorporation of sensors and data collection systems. Satellites, drones and self-driven vehicles will allow precision agriculture on a mass scale, where fertilizers, pesticides and water will be tailored to the needs of each plot of land or even plant. Matthew Lange of the University of California, Davis, addressed the idea of the Internet of Food (massive amounts of food data from production to consumption, which has been transferred and flows through the internet of things), and explained his project to create a Hyper Food Markup Language, to democratize food and health. Like Hyper Text Markup Language (HTML), the proposed infrastructure would make it possible to gather and classify the compounds, attributes and characteristics of every single food throughout the food supply chain, allowing consumers to select the best food for their specific nutritional requirements at the individual biochemical level. They would be able even to decide what food choice would be most ethical, depending on its origin and farming conditions. To meet individual needs, by 2050, based on the individual genetic knowledge we will have access to, we will be able to include nutrients encapsulated by nanobiotechnology in our food to ensure their bioavailability and prevent unpleasant tastes. These capsules are resistant to low pH levels and able to reach the small intestine, where they are degraded by enzymes to make nutrients available to us. Mark Oleynik of Moley Robotics explained another perspective of customization. They have developed a domestic cooking system that combines robotics and machine learning. The system integrates two robotic arms that can cook learnt recipes, reproducing with high precision someone’s moves. In 2050 we might taste a top dish from the best restaurant of the world, or from our grandmother, just by pushing a button. Proteins are essential to our proper functioning, and the main source we are currently using is animal origin, which is highly unsustainable. Beef requires 10 times its weight in food to be produced; pork 5, chicken 2.5, insects 1.7 and fish 1.2. By 2050, we will be forced to be flexitarians and to consume nutritionally dense rather than high caloric food. Meat consumption (mainly beef) will have to be reduced and we will incorporate a considerable volume of insects into the Western diet. At the same time, biotechnology will allow us to consume plant-based foods that recreate the texture of muscle tissue, even their nanostructure, to simulate meat’s organoleptic features. Paul Brereton of Fera Science, who has spent 25 years working on traceability, transparency and food integrity, raised the need to create a global food regulation and traceability system. In 33 years, the Internet of Food will permit the democratization of food, health and food traceability. We will have to use all the technologies we have already mentioned, including sensors such as the one presented by Isabel Hoffman of Tellspec; a spectrometer device that can instantly detect allergens, contaminants and other types of components in food. The apparatus emits light at a certain frequency, which is reflected at a different frequency according to the type of molecule. The information is sent to a device connected to the cloud and stored in databases, using machine learning as well. According to Isabel, “A major revolution will take place when all these sensors are in your phone, refrigerators and many other everyday devices”. And the future will be full of electronic devices and components that are 100% 3-D printable, which would reinforce the paradigm of circularity. Our challenge is to ensure that before 2050, the Clean Food Revolution concept, as Isabel calls it is popular knowledge. That is when we will have managed to bring the vast majority of consumers up to the level of being able to say, “This food is not good for me”. A key question in this context is what can the gastronomy contribute to the global food scene? Chefs can take advantage of their current prestige to play an important role as influencers and educators in environmentally and health-friendly food habits. This is the case of Eneko Atxa and his Azurmendi restaurant, where he attempts to convey a global understanding of sustainability with the aim of strengthening the economy of the environment, not only through the architecture of a self-sufficient building, but also through collaboration with small local producers, the implementation of composting programs, ensuring good working conditions for workers and forging alliances with local hospitals to reinforce the idea of “food as medicine”. Gastronomy is and will be essential in showing how things should be done, and that what chefs feed people is what they take home. Lynda Deakin from IDEO added that “the future of gastronomy might be these community cooking kitchens where people can come together and actually learn the fundamentals of cooking, celebrate good food and translate those skills multi-generationally”, rather like the Basque concept of a Txoko or “Gastronomic Society”. In addition to their growing influence, chefs have ventured into other areas of knowledge and science, while scientists have begun to explore the practical world of chefs. It is exciting to see people coming together to work on that. People are beginning to see that flavour is interesting per se, but at the scientific and practical level, it is linked to issues such food waste, and farming, and feeding ourselves. The future is right around the corner and is being built on the basis of existing problems, among which 'not having to eat' is undoubtedly the most serious one, which needs to be solved quickly. It is only 33 years to 2050 and if think back 30 years, we will recall that Facebook and YouTube... did not exist and no-one could have imagined anything like that. Even the Internet was a big unknown for the vast majority of the world not that long ago. Technology and science are neutral tools that will do whatever you tell them to, meaning that it is pretty much up to us to decide to take the path of least resistance and make food technology more uniform, centralized, and top-down, or go down another path and use technological tools to create a system of gastronomy that is fairly distributed, closely linked to culture and allows people to do things, rather than doing every single task for them,” explained Arielle. Indeed, technology can help build the platform that brings people together and enables collaboration while promoting a common vision, long-term thinking and a shared knowledge of where we want to go, as a group. After the morning talks, when we were given an overview of the interface between technology and gastronomy throughout the value chain and the main challenges it faces, the FAB City Global Initiative and Project Gastronomía gave a workshop to co-create future gastronomic scenarios through a systems-thinking approach. The morning talks provided the framework, and the topics they covered were explored in the workshop. The 'Envisioning the Gastronomy Scenarios of 2050' activity was designed to outline various 'next-generation gastronomy system scenarios' reflecting a positive vision of a 100% sustainable world, that would be both healthy and flavoursome and based on realistic, tangible threads, trends, opportunities and challenges. The outcomes were various narratives of scenarios, framed in 2050; a year that sounds a long way off, but is actually just around the corner and gives us the opportunity to imagine new paradigms and design a roadmap to achieve them. Participants were divided up into seven groups, tasked with: envisioning and describing a potential gastronomy system/scenario by articulating a set of given “areas of change”. 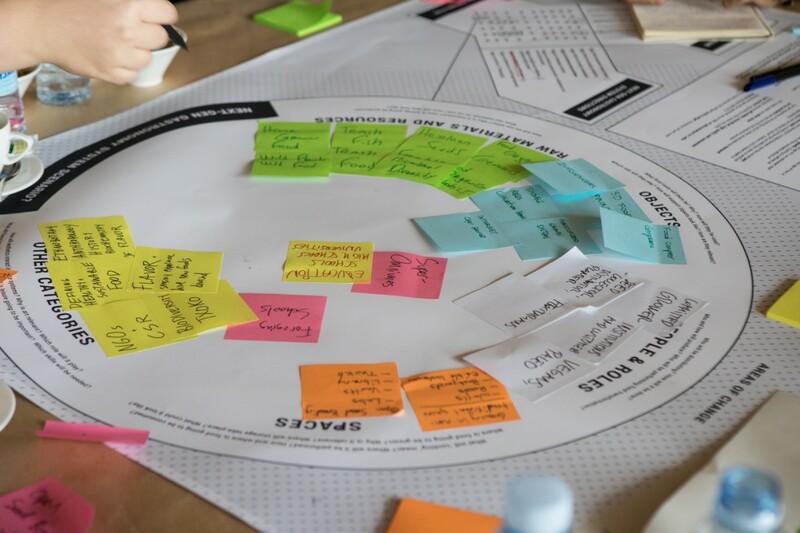 This methodology is based on the conceptual framework used by FAB City Global Initiative, IKEA, Space10 and Exploring Emerging Futures -part of the Royal College of Art in London- to imagine the future of retail spaces and mass distribution. We see a ‘gastronomy system’ as a combination of context and a physical place or group of places where people become involved in growing, transforming, distributing and eating food. It links a set of tangible and intangible elements such as people, raw materials and resources, objects, and spaces. These elements were identified by analysing the elements that now constitute a generic restaurant, which is a perfect example of a micro food system linking various actors throughout the food supply chain and mobilizing various types of communities around it, such as farmers, suppliers and consumers. We provided teams with an overall context, consisting of a compilation of general statistics and predictions (of demographics, resources, energy and climate...) that organizations such as the UN publish on a regular basis, and which define some of the main challenges faced by gastronomy and the food system. 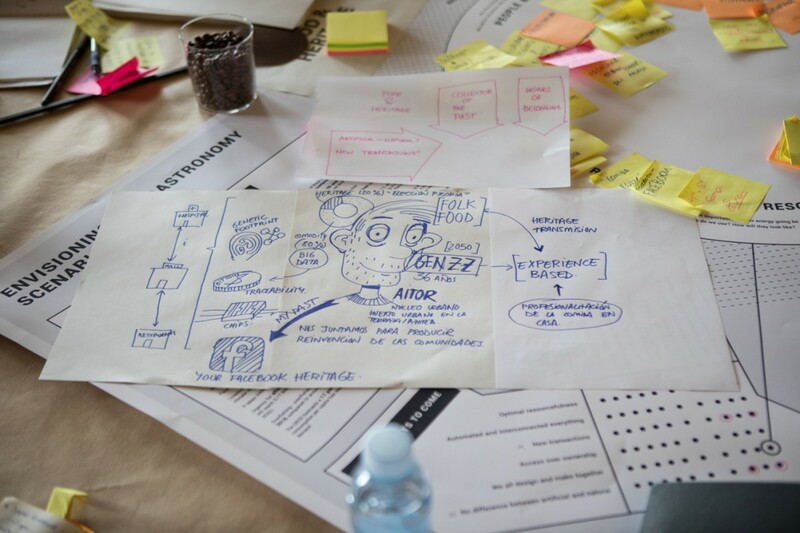 We suggested set of ‘major shifts to come’: societal shifts for the near future based on the framework developed by FAB City in collaboration with Space10, IKEA and the RCA, with the contribution of Project Gastronomia and friends. We also provided them with a few suggestions about the directions gastronomy systems might take. 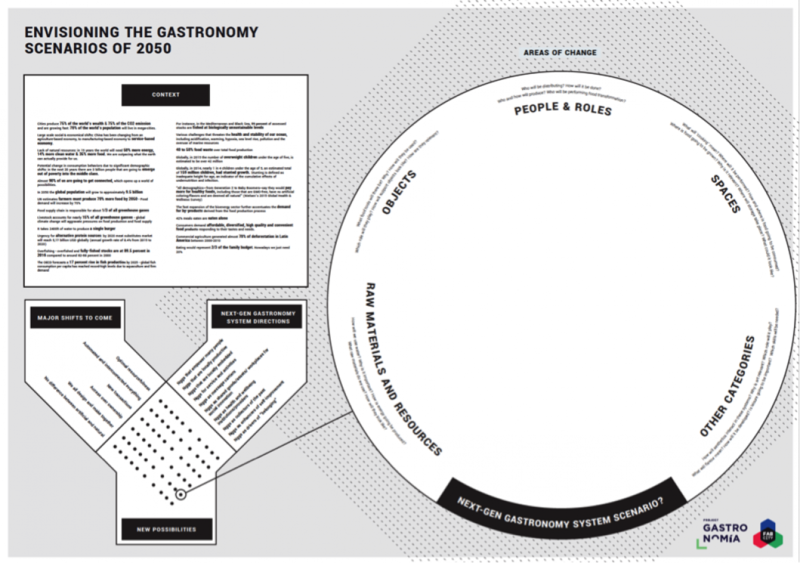 These were based on the current context, predictions, trends, and also included Project Gastronomia’s vision of an ideal future world and society. Each group had to pick at least one major shift to come and at least one next-gen gastronomy system direction to work with. Based on the topic and their chosen major shift, they developed a scenario of a NGGS supporting the vision of a 100% sustainable world. *The narratives given below are explorations of possible future scenarios and are not necessarily based on the current situation. We will create the Foodcare institute. A financially sustainable project and brand that will bridge the gap between food and health. We have identified the need to address the issues facing medicine today, such as the long- and short-term costs of the healthcare system and doctors’ reluctance to increase their knowledge of nutrition. To achieve sustainability in all aspects, we will have a media partner, with whom we will establish a 5-year contract. The Foodcare institute will be directly related to the Internet of Food, and we will have a Chief Science Officer, who will be responsible for providing solid support for facts, data and details, and contributing resources from the university on new issues, science and innovation. Our innovation manager will be responsible for the geographic jurisdiction and set annual digital targets/indicators. We will work directly with the media relations director to continue to grow virtually every geographic and language-based area, bearing in mind our mission of creating through language skills: arts and history with science, technology and 'food as medicine'. We will sign a 15 -year contract with BCC and in order to maintain our presence in different locations, we will work hand-in-hand with chambers of commerce throughout the country. One of our objectives is to completely align medicine with the food industry, so that graduates from these two sectors will be able to continue to strengthen their skills. The Foodcare Institute will offer courses in Chemistry, Biology, Nutrigenomics, Respect for Animals and Food, Food Sciences, Cooking Sciences, Nutritional Sciences, Sensory Sciences, Food Chain Understanding, Microbiomes, Food as Teatment for Health, Food Waste Reduction Techniques, New Agricultural Techniques and Protein Alternatives. 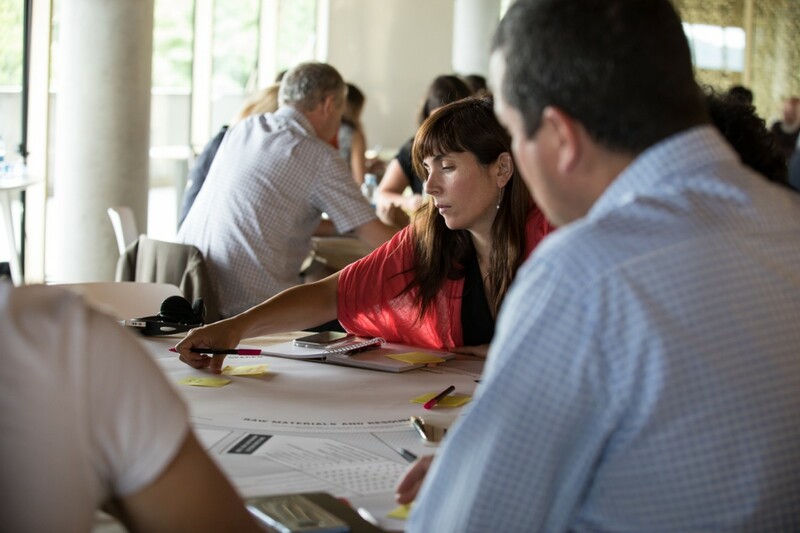 The food & biodiversity group developed a narrative in which people from Barcelona and their activities illustrate circular models in a future scenario. “Pablo: is a vegan who grows chickpeas vertically in his flat in Barcelona. Maria: Pablo’s lover. Works for Traffish, an international NGO that creates recipes for “trash fish” that are bred in marshes. The fish feed on the chickpea skins Paul brings in each week. Mercedes: Pablo's wife and as well as María's lover (a 2050 scenario in which polylove is commonly accepted). She is an activist re-introducing the MILPA, an ancient Mexican crop-growing technique that consists of a small plot of land that creates a healthy, beneficial ecosystem for growing vegetables through multicropping. Tito: The owner of the MILPA, who develops different types of crops, combining species from the old and new world. He also teaches an online course on agriculture and seed breeding. His students use Food Computers and experiment with different types of climate from other Milpas. Justine: is an one of the best Tito’s students. A prominent social media influencer, she tweets and blogs and promotes Tito’s videos and projects. She features the “Biodiversity Txoko Parties” she throws in her Instagram account. Enrique: sees Justine’s social media activity and some of Tito’s videos. He decides to meet Justine at the Burning Man Festival. They develop the Biodiversity Txoko Camp where they combine German brewing skills with foraging techniques in order to experiment with new flavours and make beer with endemic yeasts extracted from wild herbs. “Txoko: a gastronomic social commitment for the 2050’s"
People’s experiences in the 2050 scenario of mass migration in urban areas serve as the inspiration for this future case. The starting point was to think about the main challenges faced by immigrants in 2050, such as having a strong feeling of “not knowing”. The idea is to generate shared, neutral spaces called “Txokos” with the support of public institutions where a group called “The welcoming culture” will prepare food and facilitate migrants’ integration using gastronomy as the main driver. Txoko is a comprehensive service including a range of activities. The government provides support in the form of infrastructure to each community, including information on safety services. At some point, people in the welcoming culture are required to travel to a place that is part of the migrant culture in their societies to find out about it. After the experience, the traveller will cook a dish from the culture he visited and create a cultural exchange in the welcome meal, which is the first step. The last is for the person who was part of the welcoming culture to receive a person from the migrant culture to prepare a meal in this home. In this way, we foster the continuation of the sharing experience around food . This would be a civil commitment, and everyone would be required to participate in the welcoming culture. This future scenario is set in San Francisco, a society with sharp class divisions, enormous diversity and an great imbalance in terms of wealth and technology distribution (a great deal of low and high tech). This Txoko wants to address topics such as lack of access to basic items, energy efficiency, food waste, hyper-local production (being independent), culinary confidence. What if we didn’t actually own the kitchens in our homes? This question make them imagine a scenario where there are no kitchens in your home, only a large community centre. It would host about 50 families and works through a membership fee (or tax, perhaps), and operate as a community centre. Food computers would also be available to grow food. There are several places like this, which are virtually connected to permit a steady flow of information. They share a recipe catalogue, and efficiencies are shared to be able to keep working in isolated buildings. The problem of food waste will be solved by efficiently calculating, growing and cooking processes in order to provide healthy, balanced meals for each member. Families will gather to share their agricultural, cooking and eating knowledge and build a cooperative system around food that pleads designed to achieve equality in society. The main incentive for building this new system is to change people’s eating habits in order to change the current pattern of eating mainly animal food to a society that receives 80% of its proteins through plant-based foods. This involves changing the 80/20 paradigm whereby the vast majority of Westerners consume meals with 50% to 80% of animal protein in each meal. Reducing animal products, which involve huge amounts of resources, would achieve clean water and energy efficiency. The key to achieving this objective is to align opinion leaders in the culinary world: top chefs. How can we train and convince them to change this 80/20 paradigm? These chefs could potentially influence the whole community. A new culinary school will be created in order to educate these chefs to create more sustainable, flavoursome plant-based menus. These agents will act as messengers within their restaurants, the media and other channels to make eating habits healthier and more sustainable. Knowledge transfer would create new values in societies keen to achieve a healthier, more sustainable world through culinary skills. Generate synthetic bacteria that are adapted or could be adapted to the genetics of each individual to activate the functional properties of certain foods, when ingested (anti-depressive properties in the case of chocolate, for example). The idea is to use knowledge about food and human beings to create products with a functional role in our organisms to improve our health. In 2050, since everyone will have their genetic profile, new bacteria will be able to be created synthetically and inserted into certain foods for medicinal purposes. In this case they could have 10 different basic bacteria profiles and the most compatible one could be chosen on the basis of each person’s genetic map. They would be drawn up in laboratories and could be ordered at home or bought at 'next-generation restaurants', which in turn, would be able to provide personalized diets and menus based on people’s genetic information. The example of an anti-depressant with chocolate was given. The bacteria will be inserted into a person’s body. An interesting debate arose as to whether this would be a product to which the majority of the population would have access or whether it would be an expensive luxury. This group has created a character: Aitor, who lives in the city and grows vegetables on rooftops. The understanding of the concept of “the past” will have changed, and the coming generations will accept the past in new ways. The past will be understood as a blend of the analog and the virtual. There will be two directionsin the upcoming heritage and food systems; 20% of the market is going to talk about heritage through tags such as “folkfood”, in the same way as we talk about folk and pop music, which most of us consume passively. #folkfood will be a social media thread. As for traceability, every food will have its own footprint telling us everything about its source and handling. Aitor will have social media features such as Facebook Food Heritage, which will record and discuss his everyday eating habits. The various scenarios visualized 2050 and reflected several of the topics covered earlier in the day, linking various elements such as objects, people, roles and spaces. We have a lot of work ahead of us and the possibility of continuing to share knowledge and create spaces and partnerships at the global level and between different disciplines. These include gastronomy, because this is undoubtedly the way to create fertile ground for ideas and disruptive solutions that will help us to meet the challenges facing food. These challenges cannot be addressed separately in each discipline, but require coordination among all of them coupled with the dissemination of systems thinking, but also a global plan of action using the same approach. Now we have to reflect on a key question: Who will be the guardians of good food?